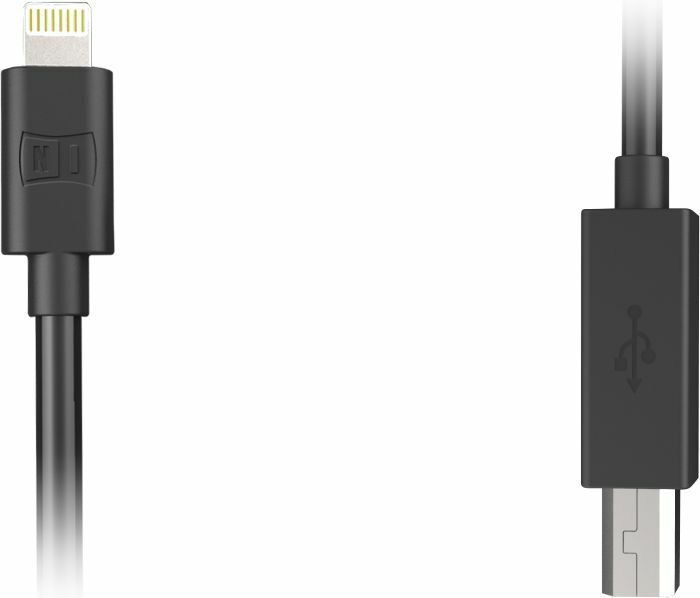 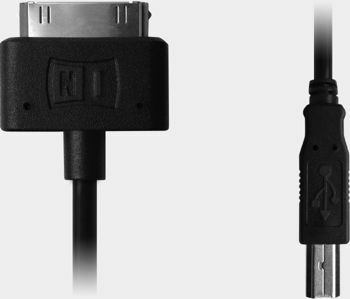 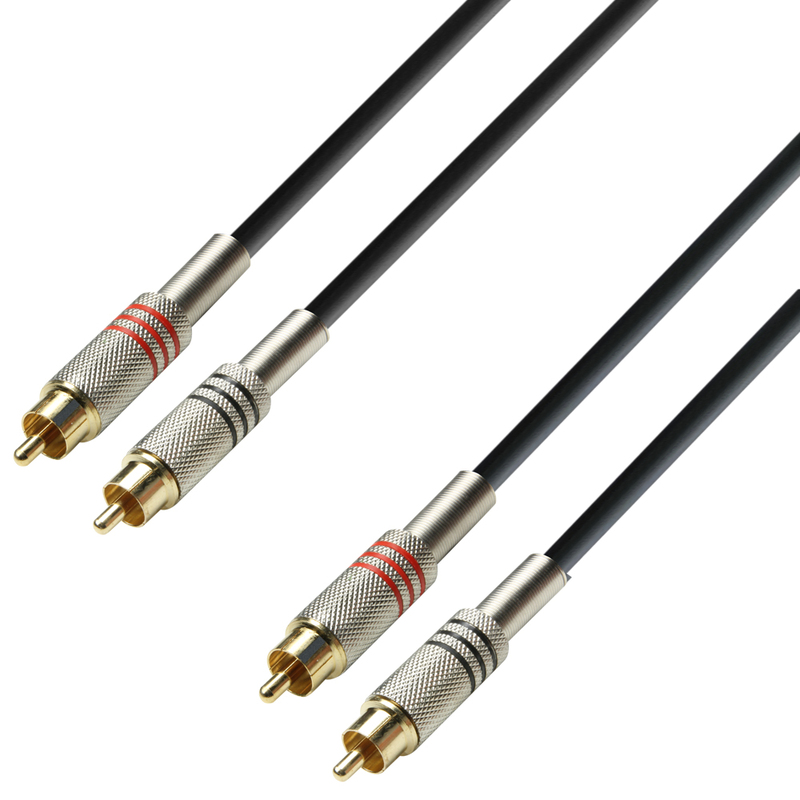 Equivalent to the cable with two straight TRS plugs, but with an angled TRS plug on one end. 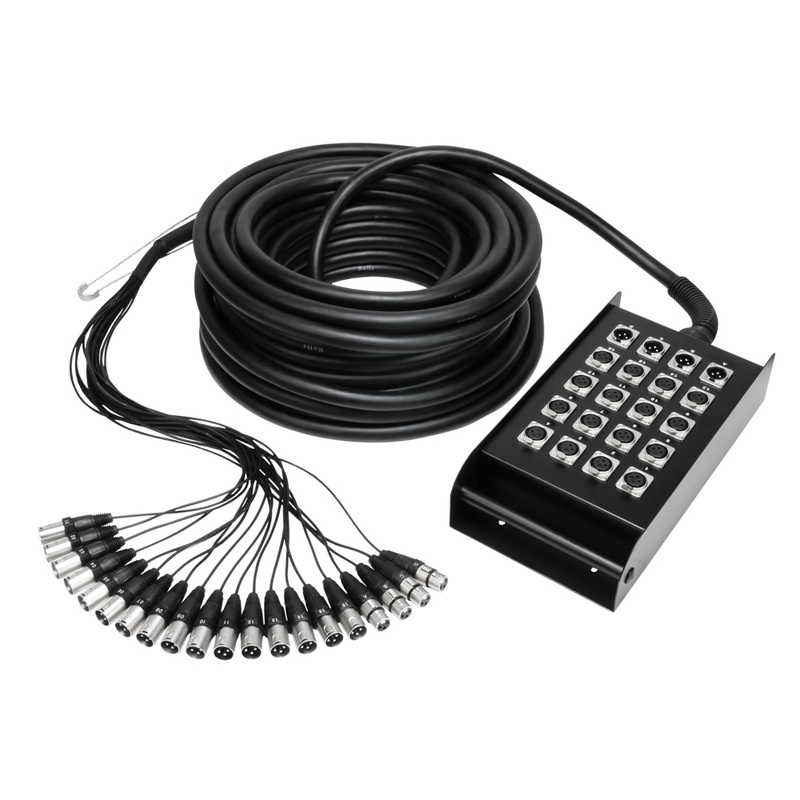 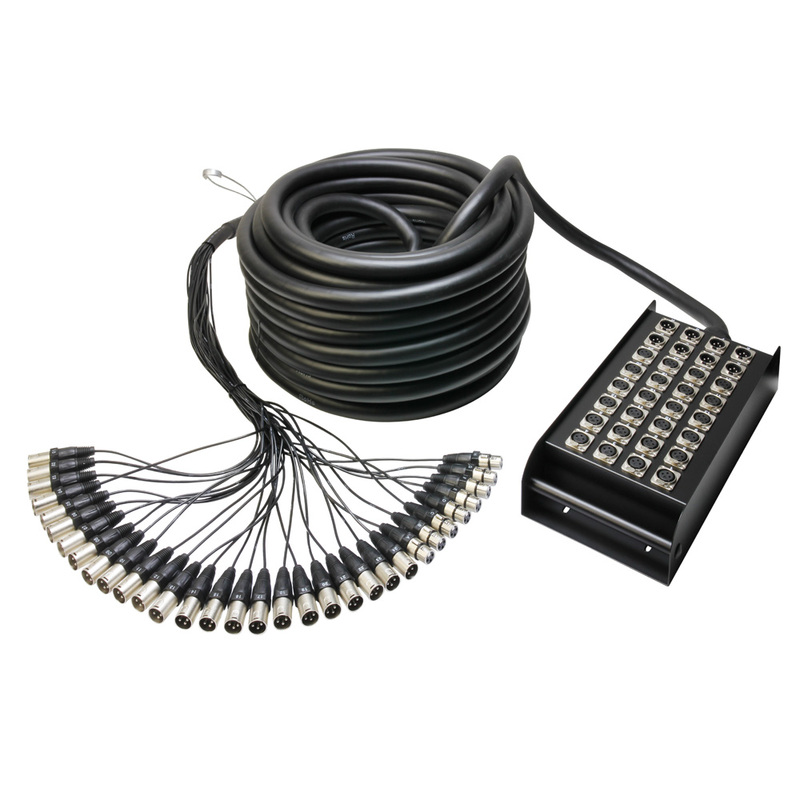 Ideal for use with guitars, keyboards or other musical instruments. 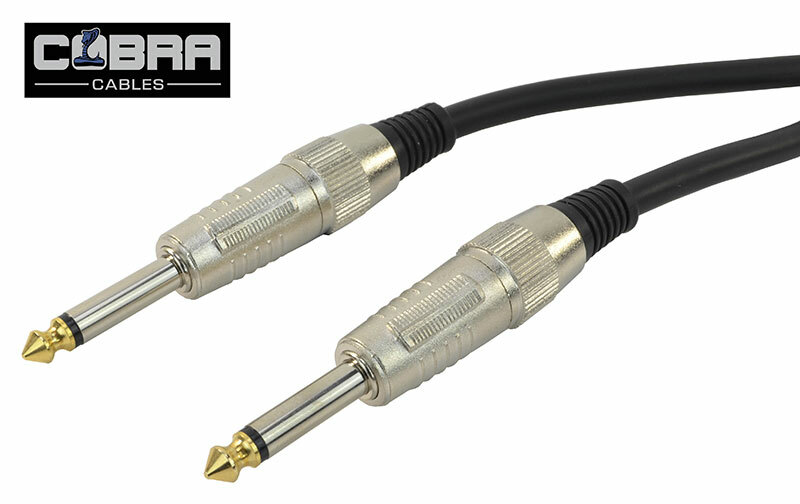 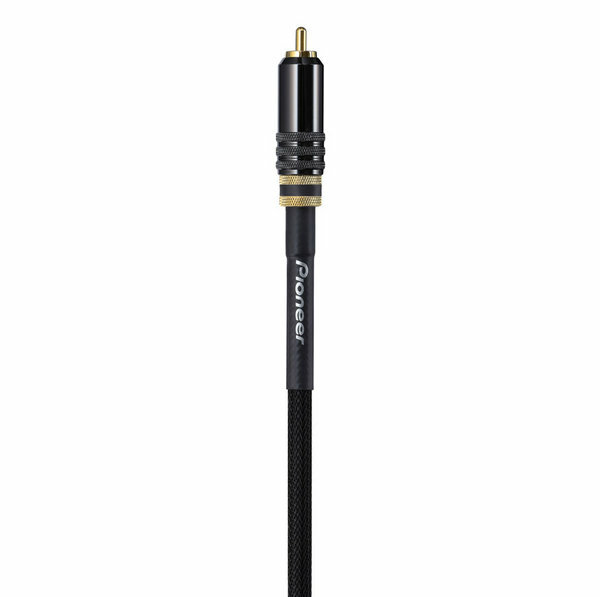 High-quality stereo audio cable with all-metal RCA plugs with gold-plated contacts on both ends. 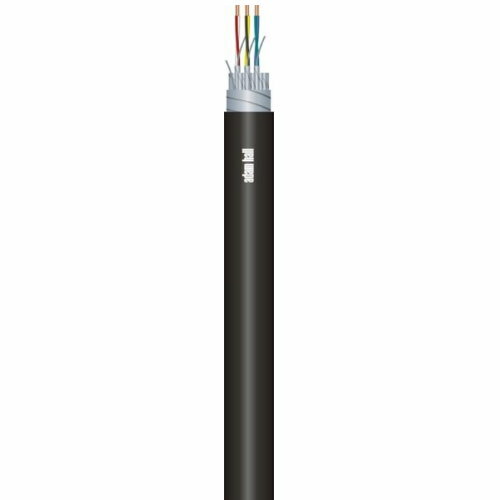 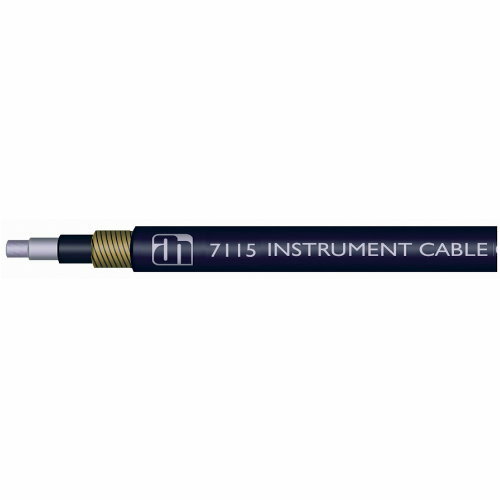 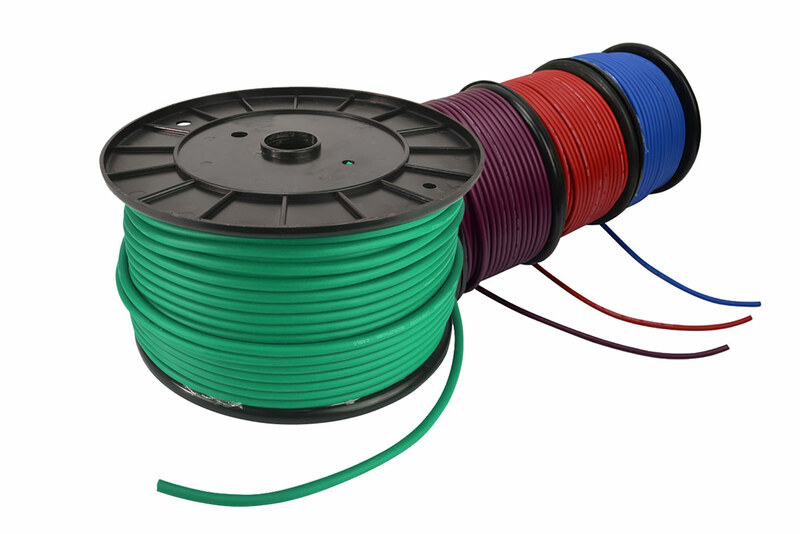 Clear identification of the channels with engraved colour rings, spring strain relief, and high-quality cable material round out the features of this cable. 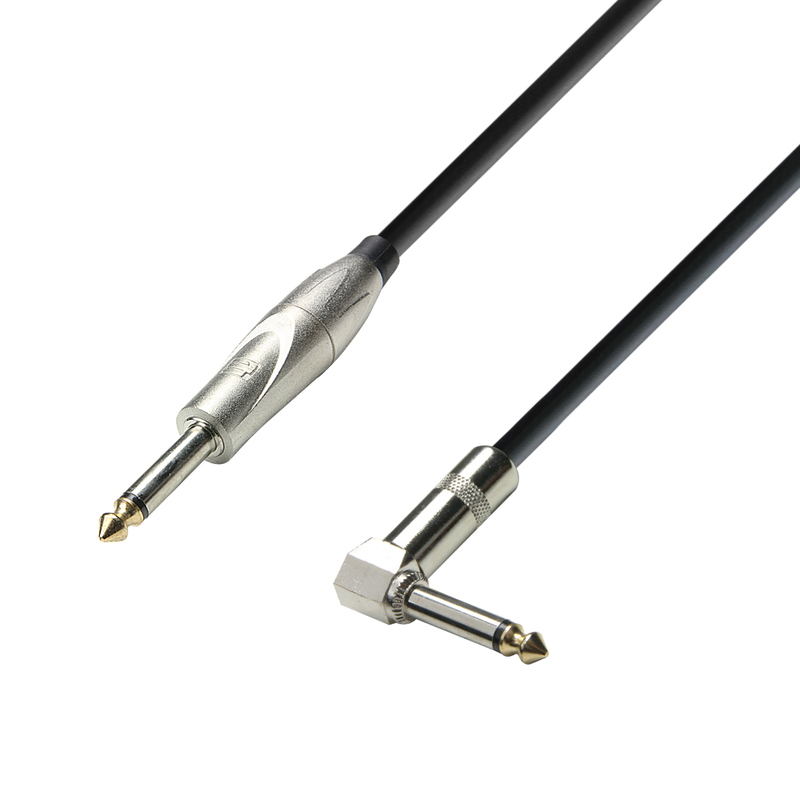 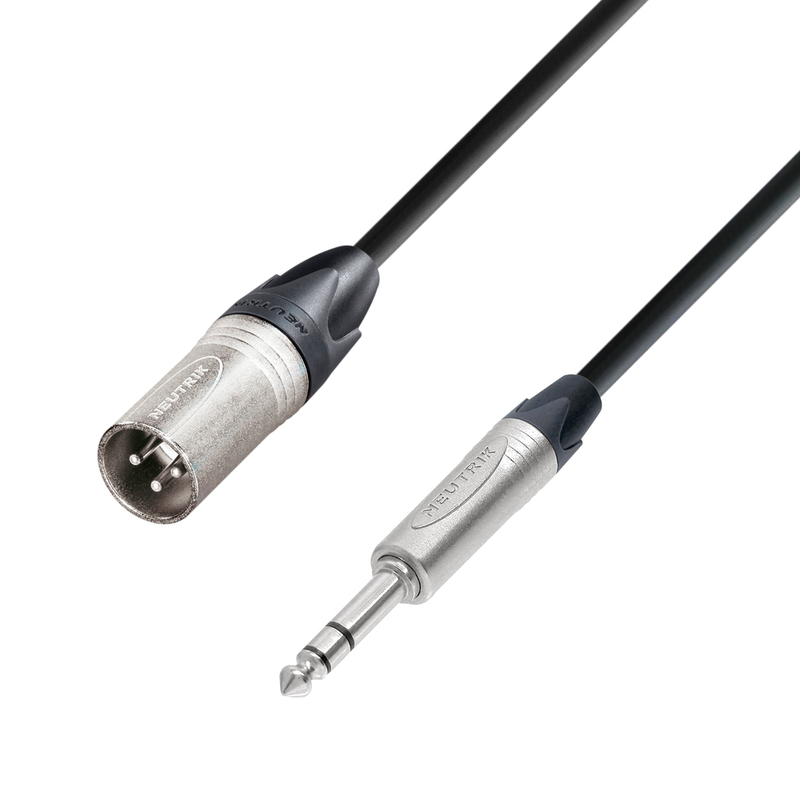 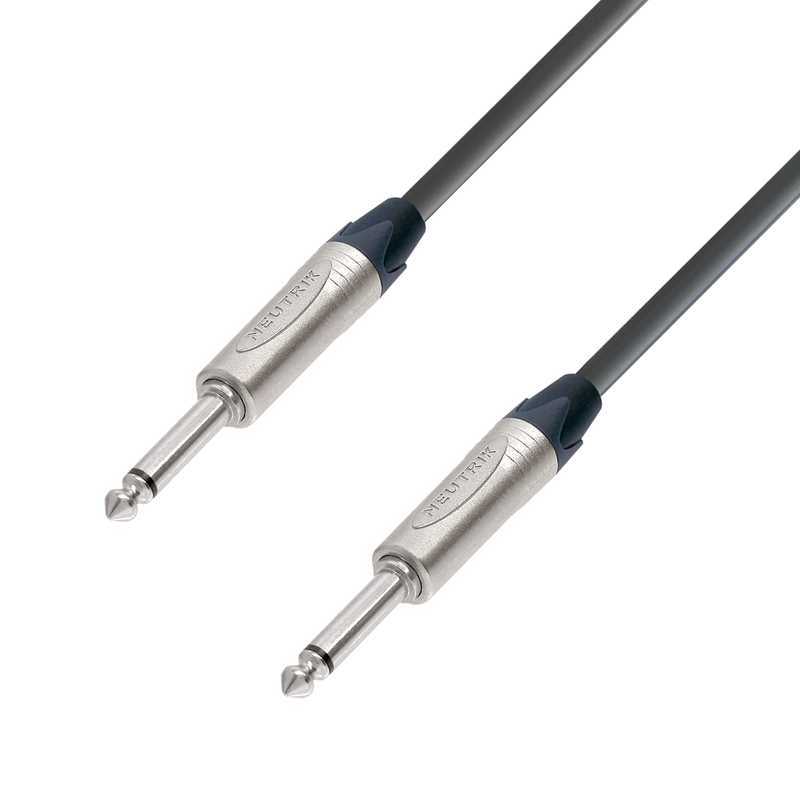 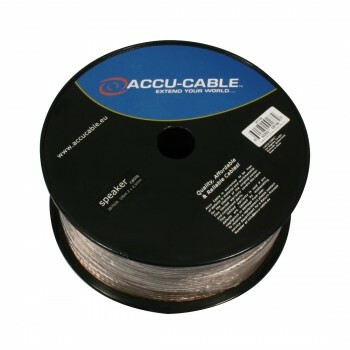 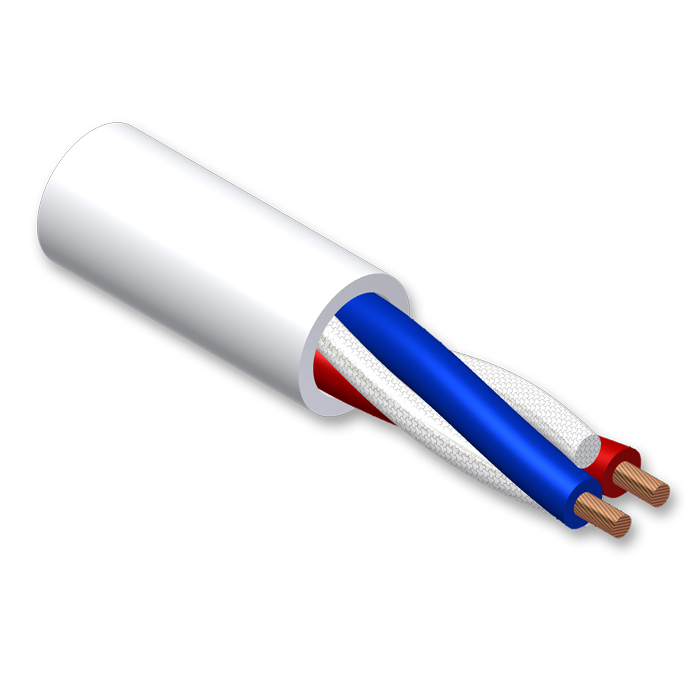 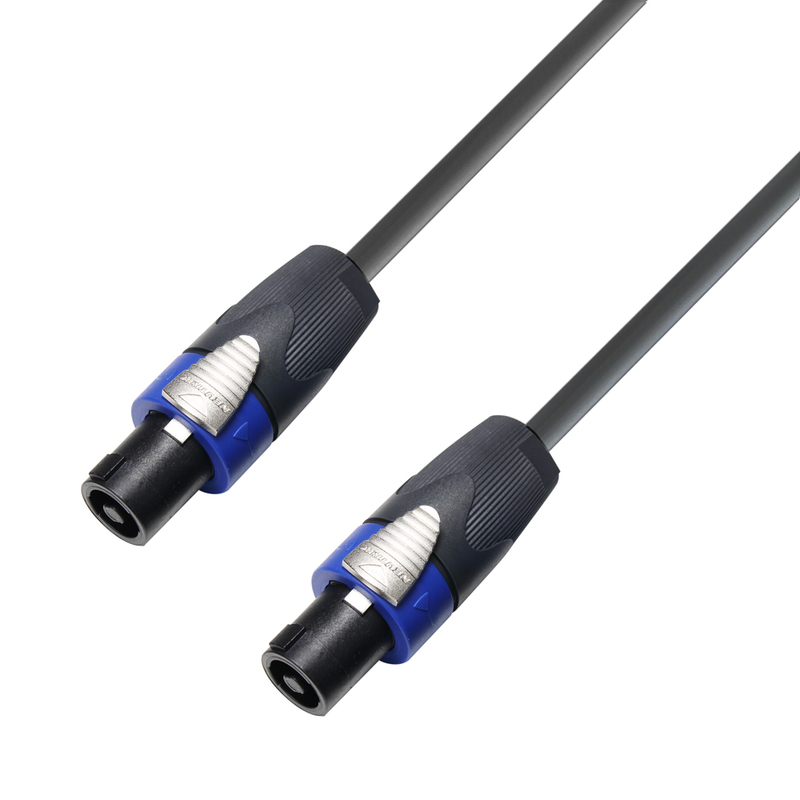 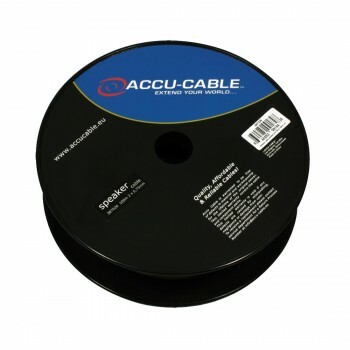 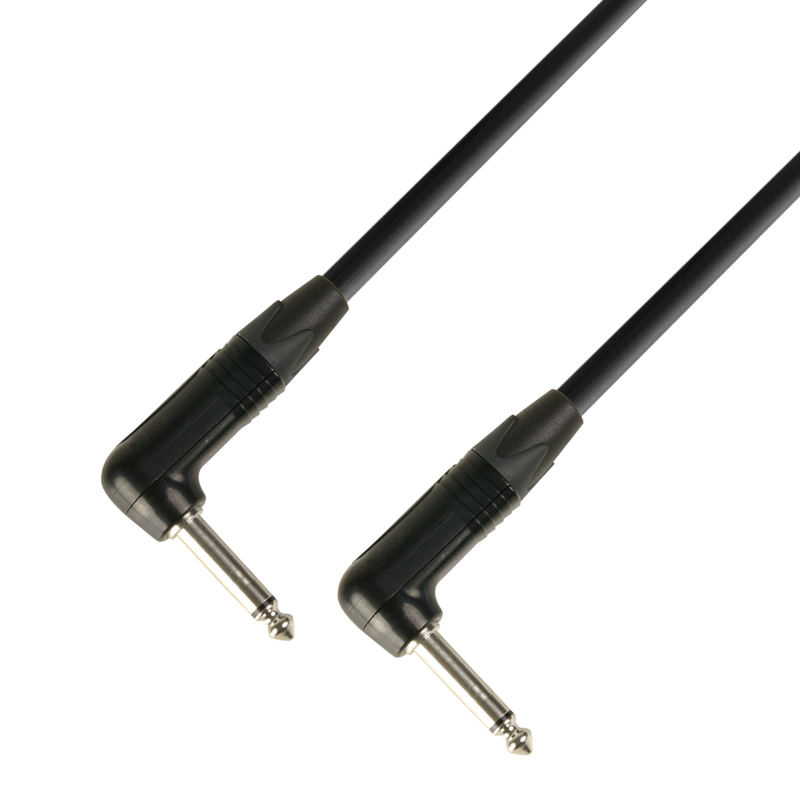 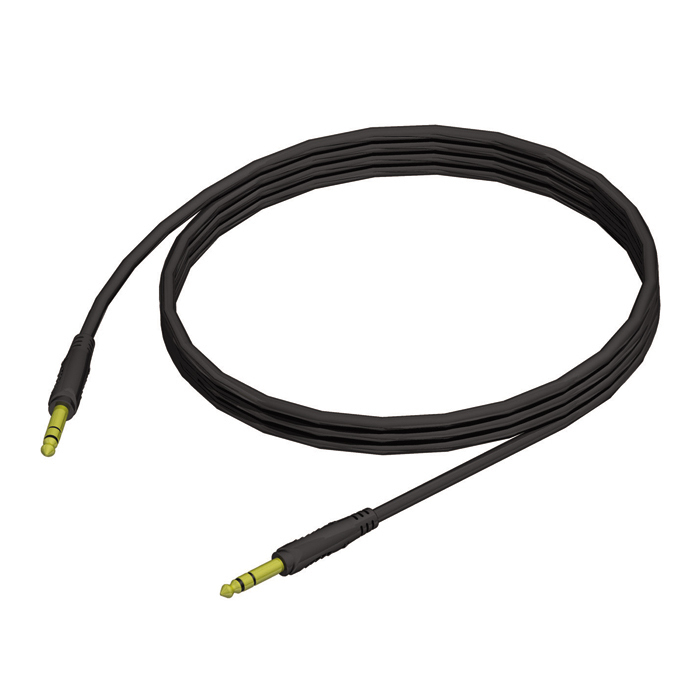 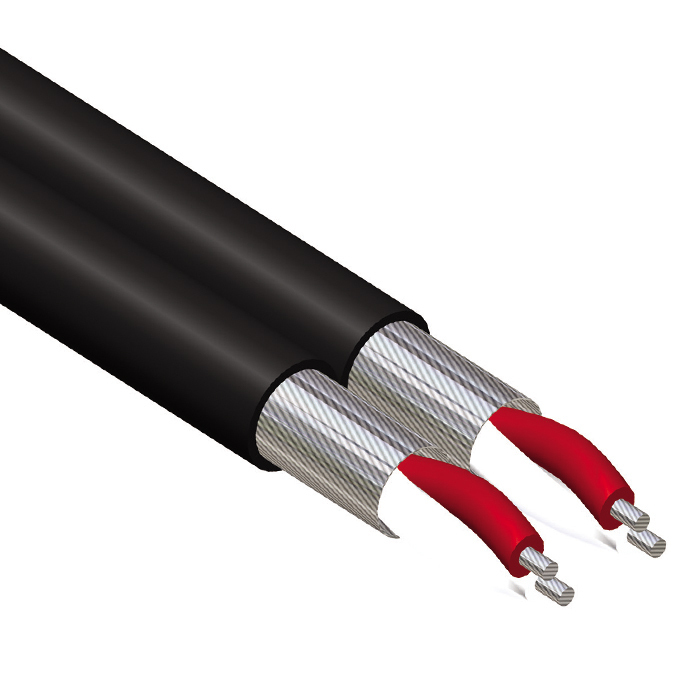 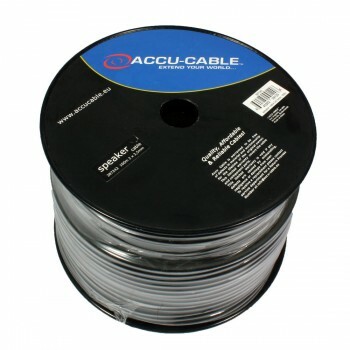 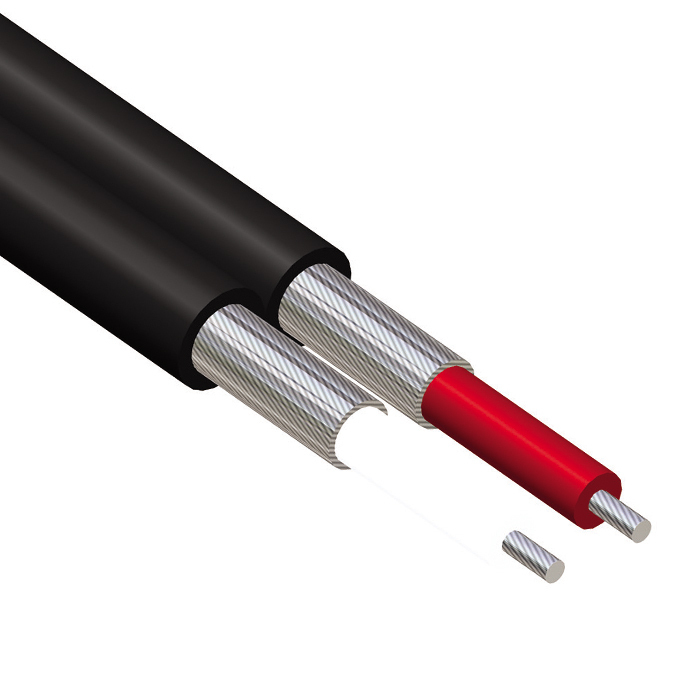 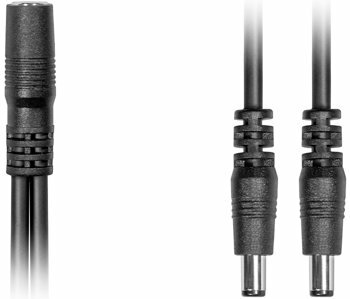 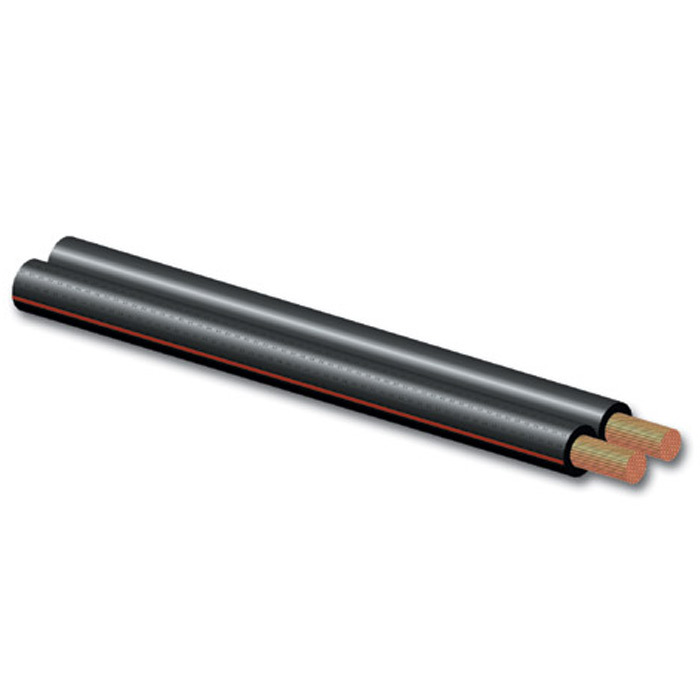 Highly flexible speaker cable with a conductor cross-section of 2 x 2.5 mm², featuringSpeakon compatibleconnectors and thus ideal for connecting high-ouput speaker cabinets or stage monitors. 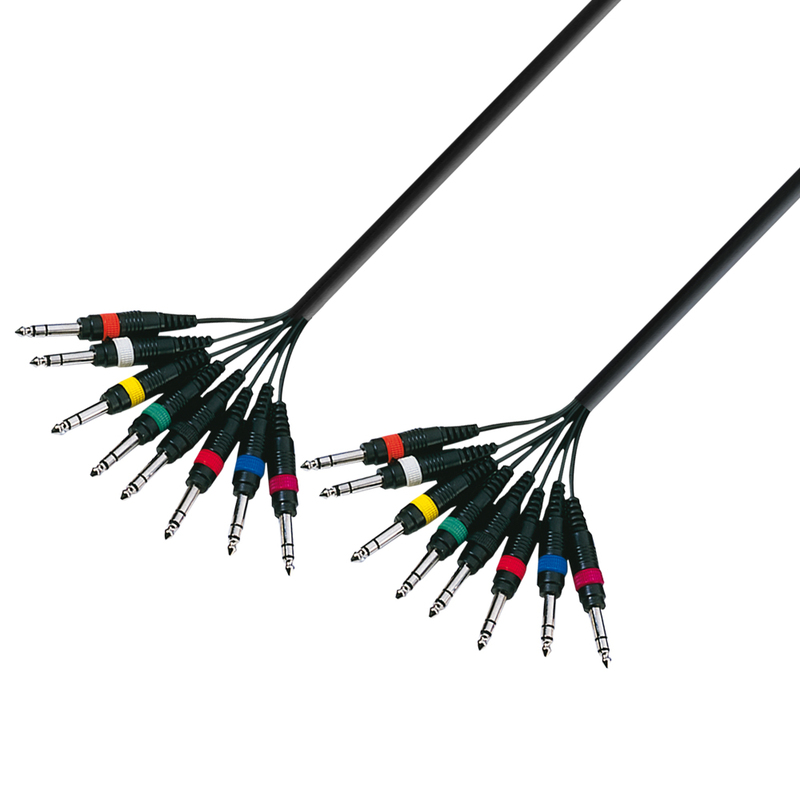 Eight-channel, unbalanced studio loom or subcore with colour-coded 6.3 millimetre TRS plugs and RCA connectors respectively. 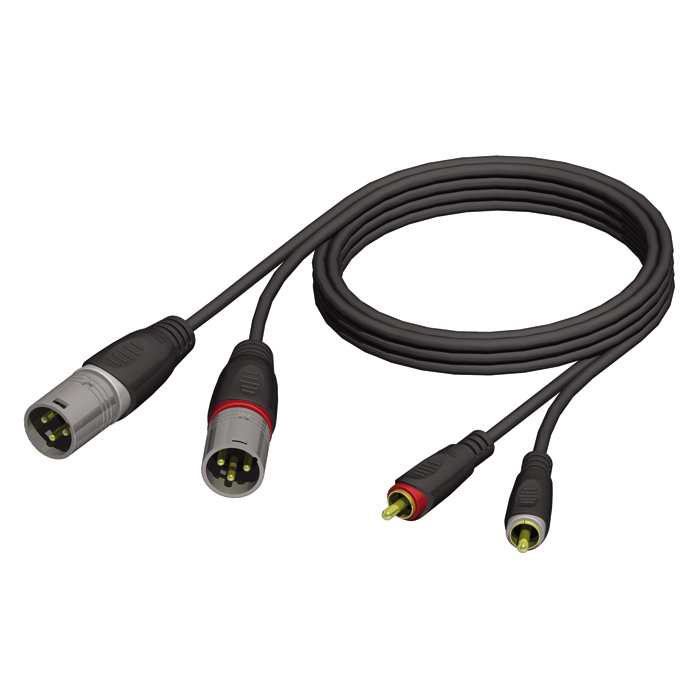 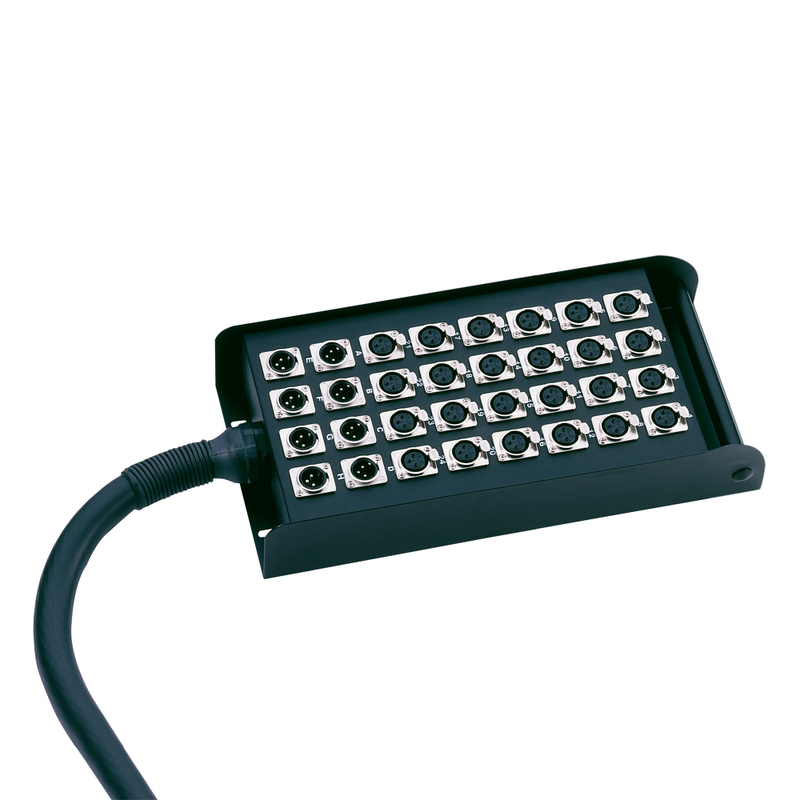 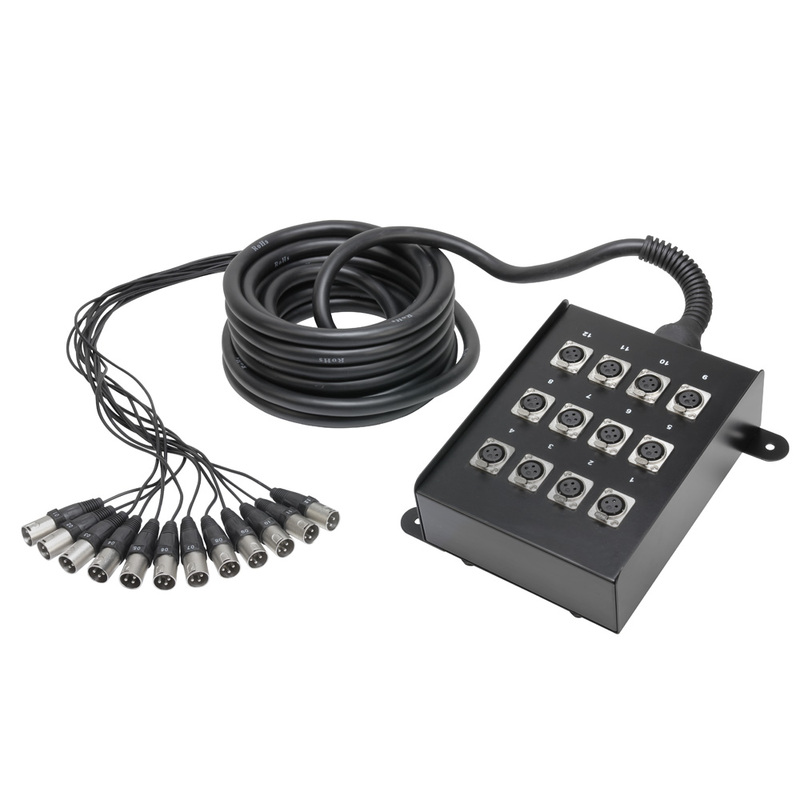 Ideal for connecting source devices or recording equipment. 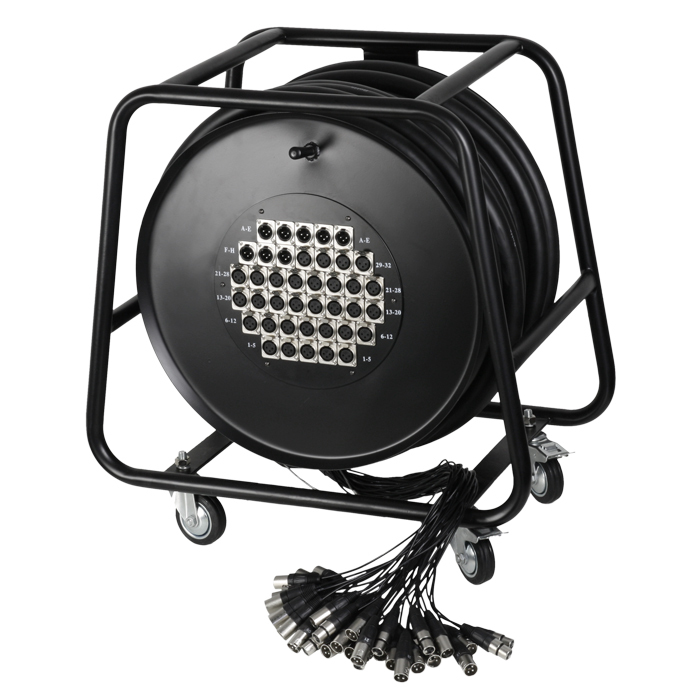 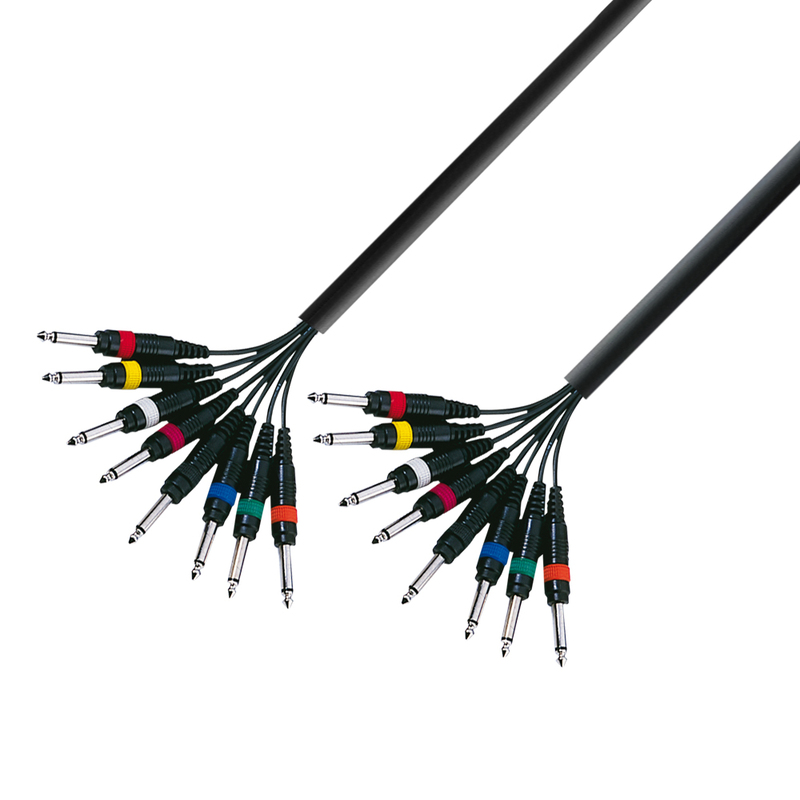 Fourfold insert multicord for stage and studio, available in lengths of three or five metres. 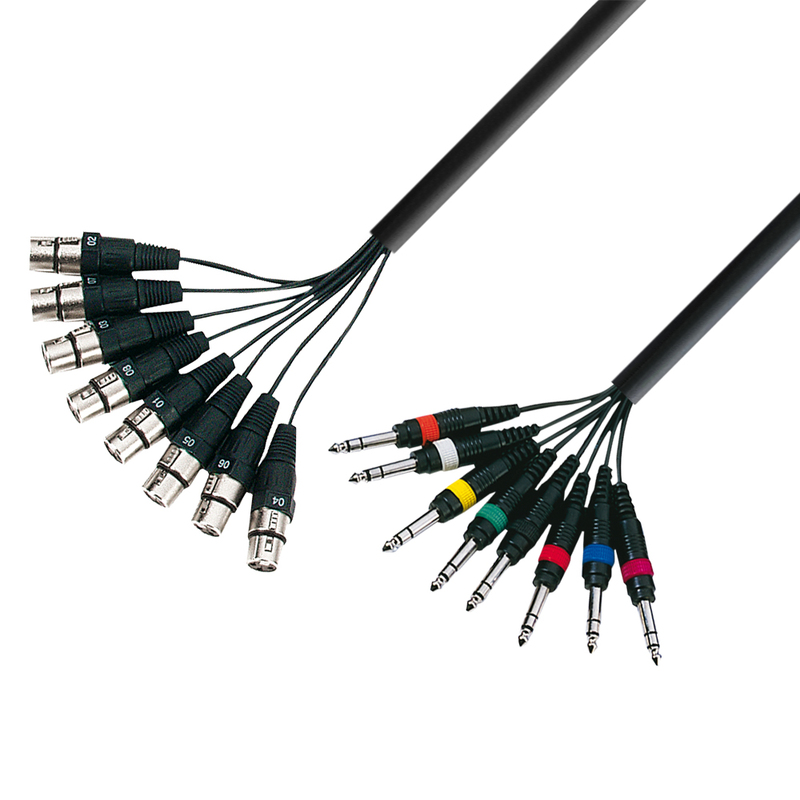 Equipped with four 6.3 millimetre stereo TRS plugs on one end and eight 6.3 millimetre mono TRS plugs on the other, all colour coded. 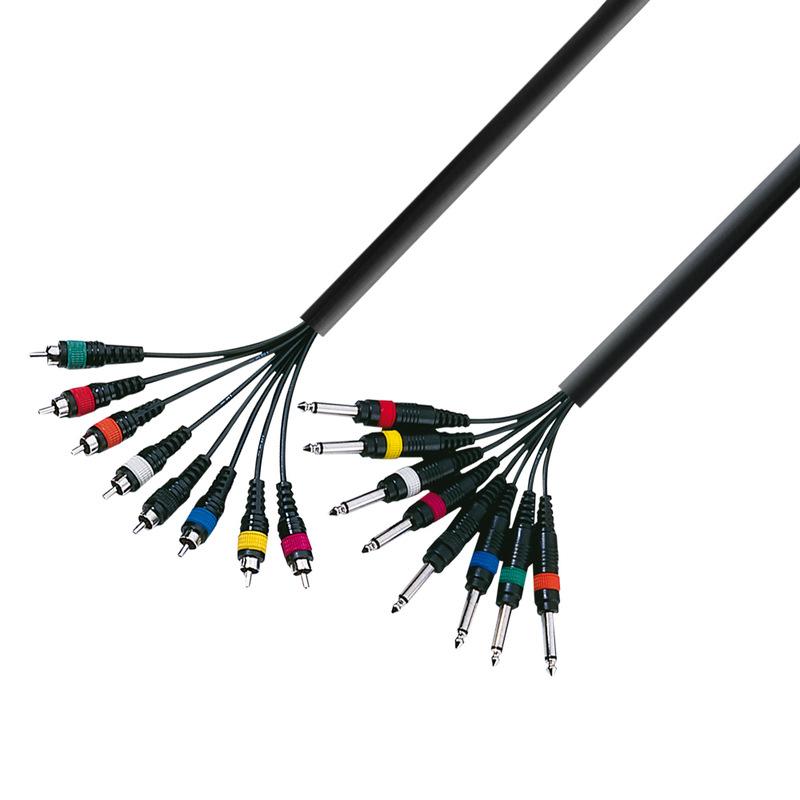 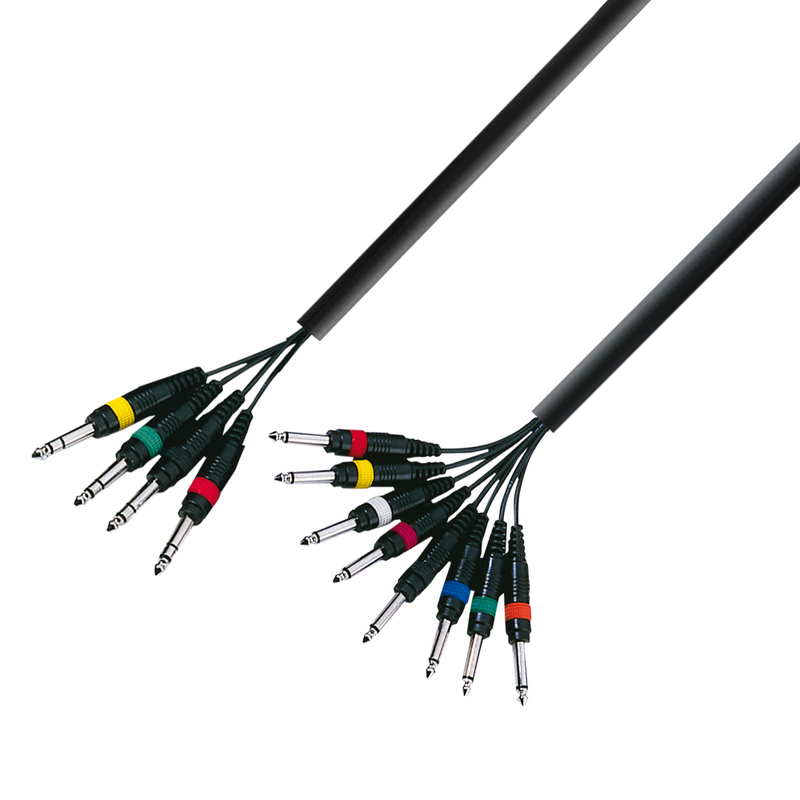 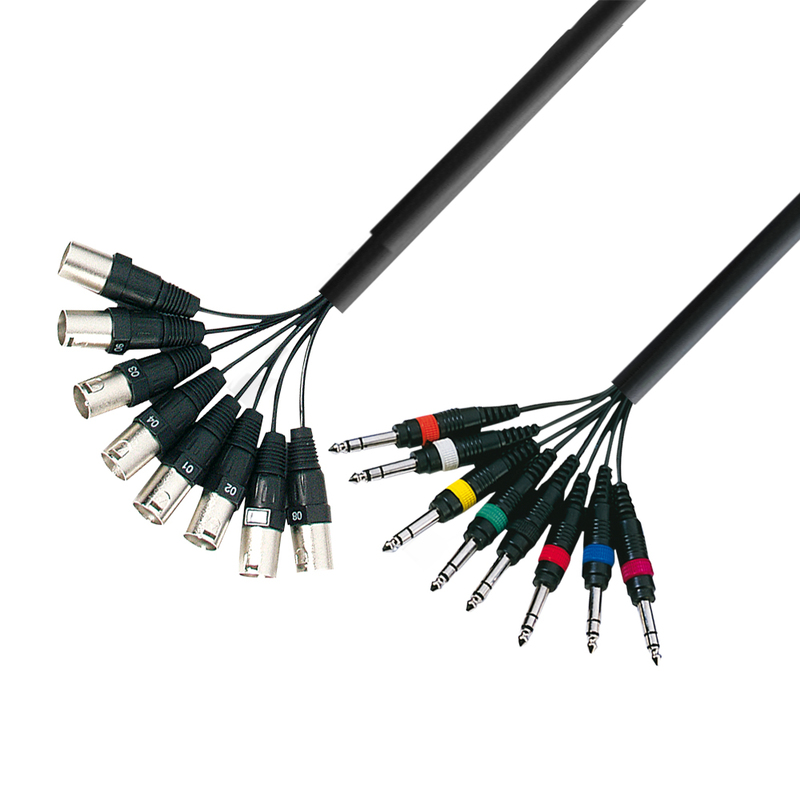 Eight-pair studio loom or subcore for stages with moderate stresses, featuring eight colour-coded stereo TRS plugs on each end. 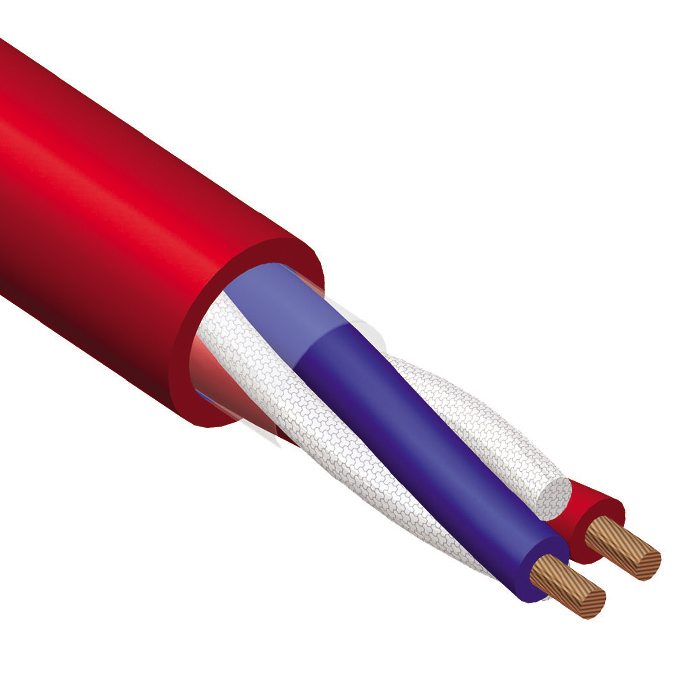 Mikrofonkabel af høj kvalitet fra Cobra.Leveres på 50 meter tromler.Dette er kabel af god kvalitet, er stærk og egnet til brug på scene og i installationer. 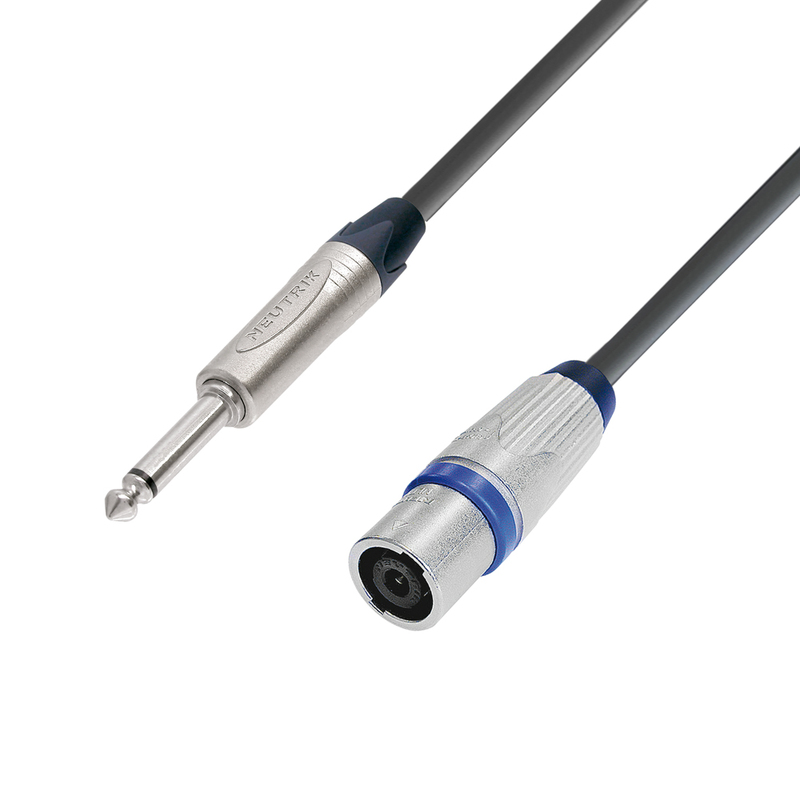 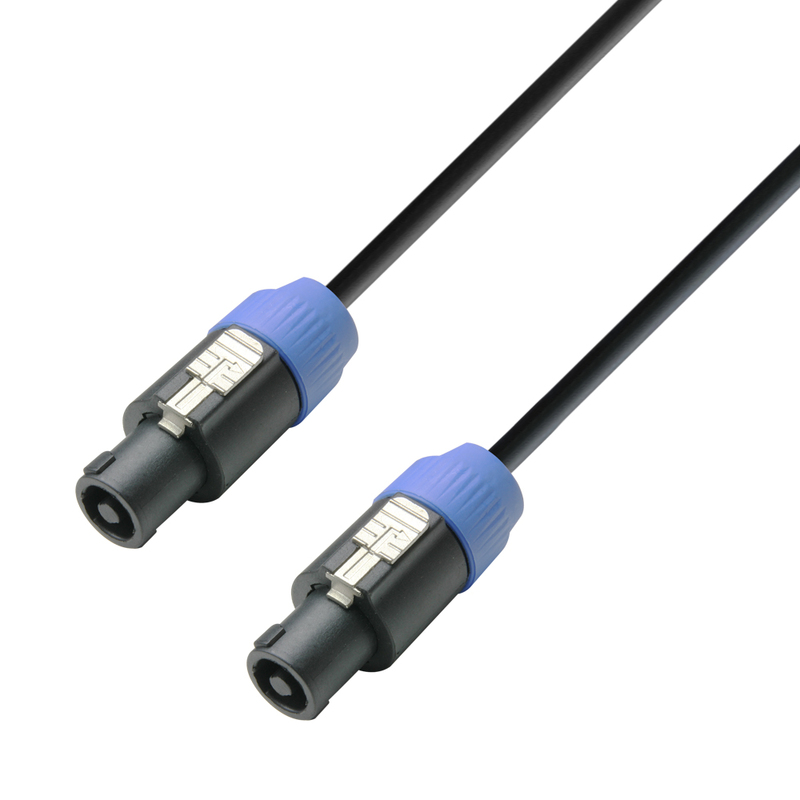 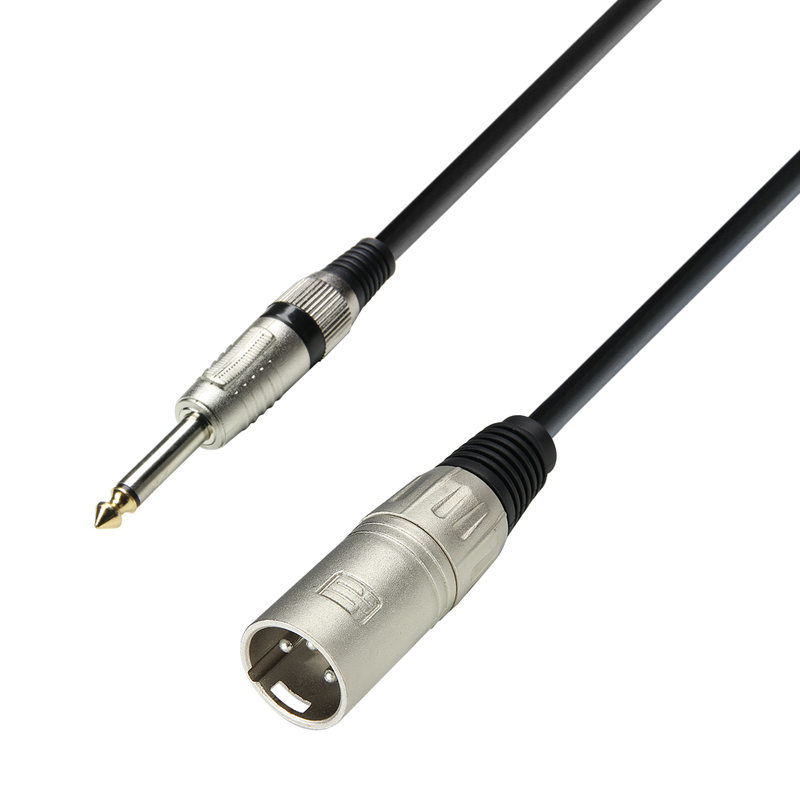 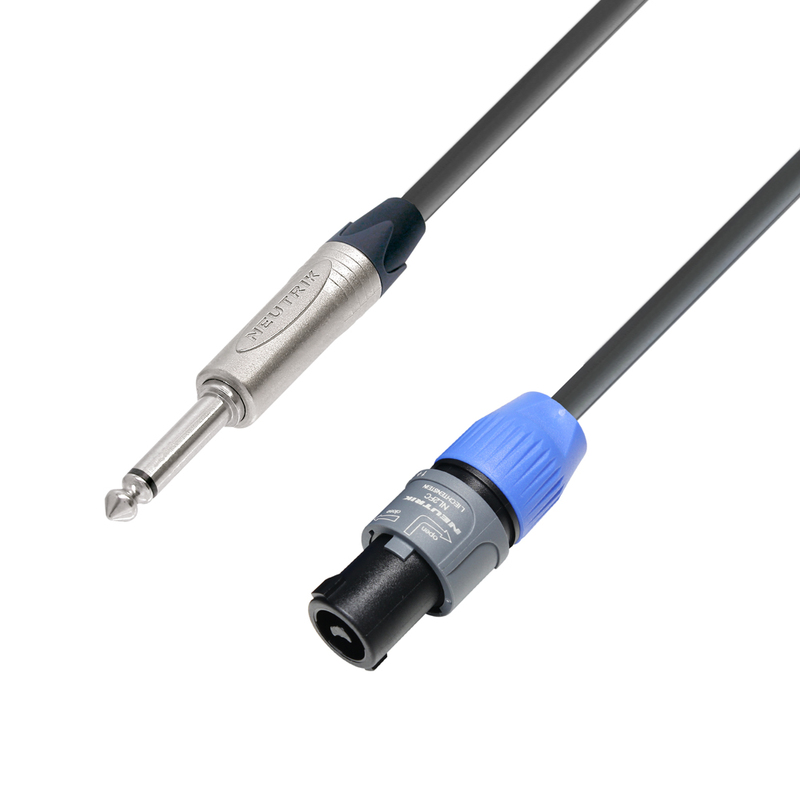 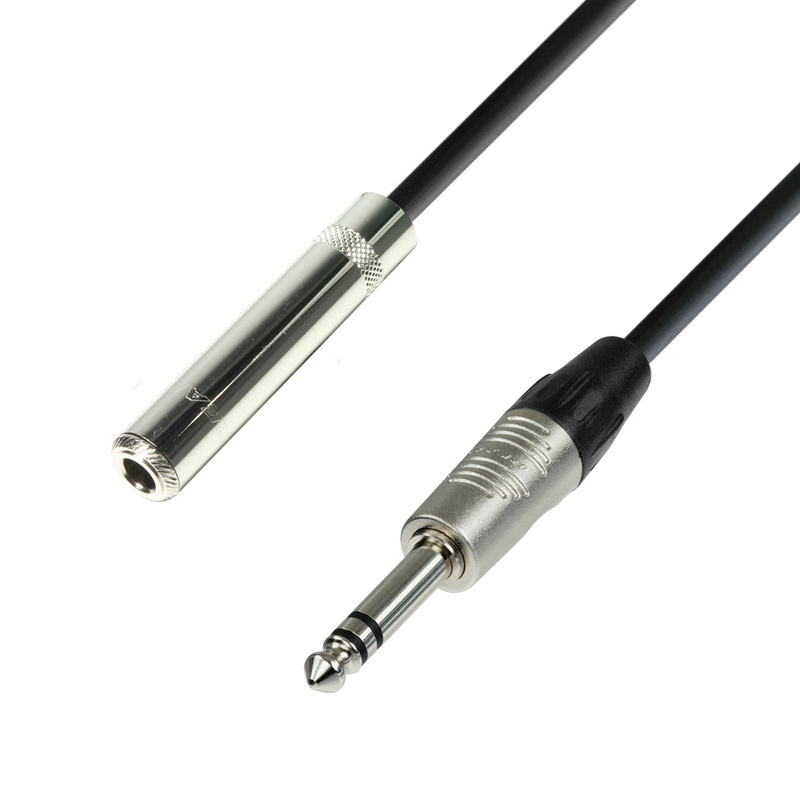 Counterpart of the signal cable K3MFP, this time with a 6.3 millimetre TRS plug and a male XLR plug. 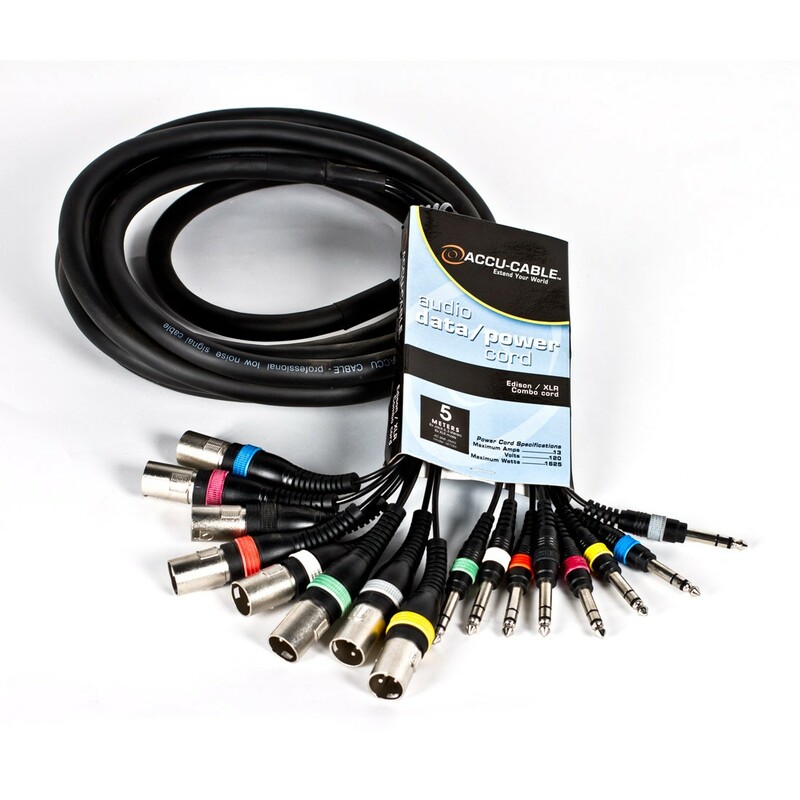 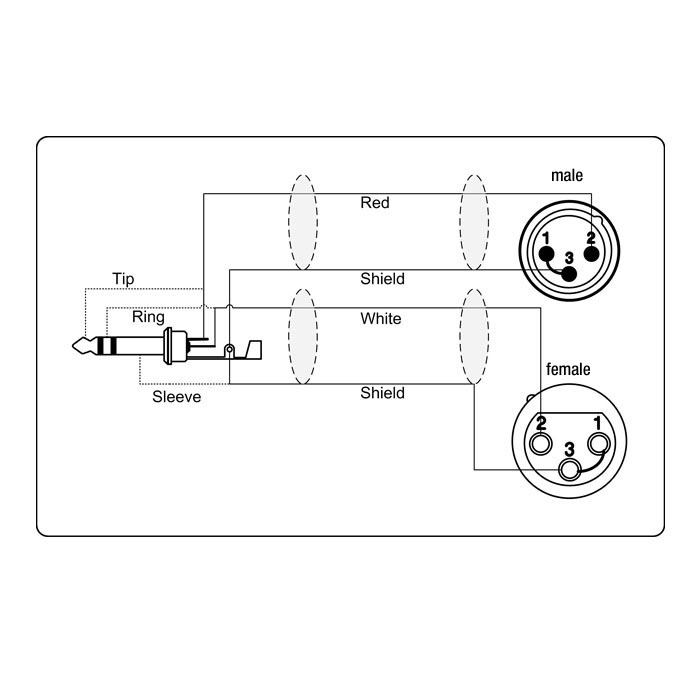 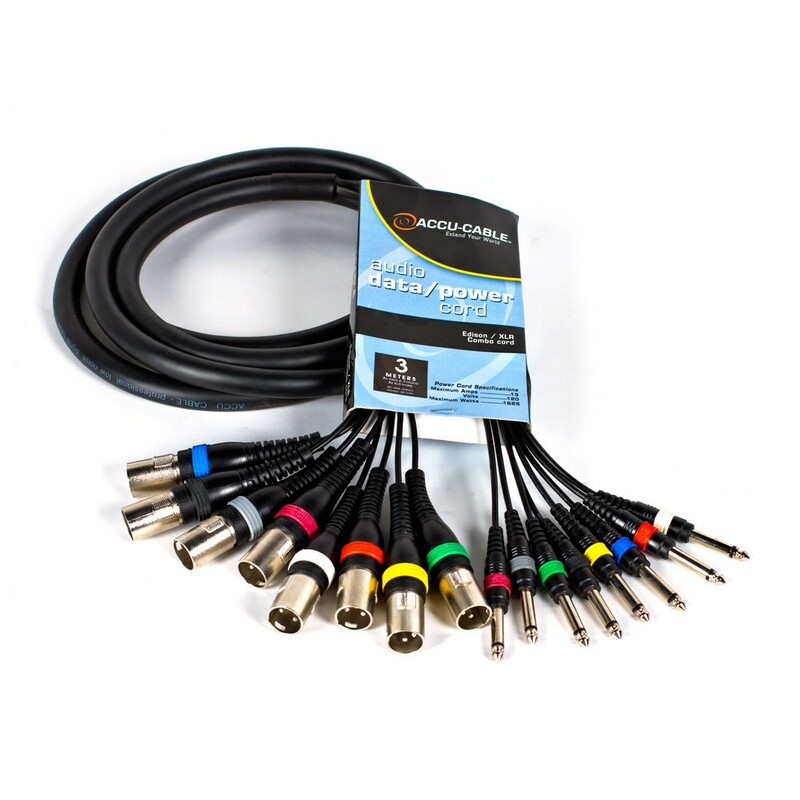 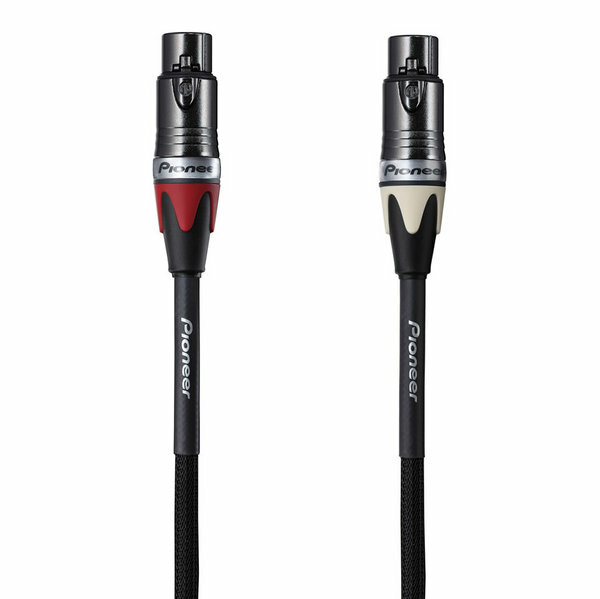 Uses original Adam Hall plugs and high-quality cable material. 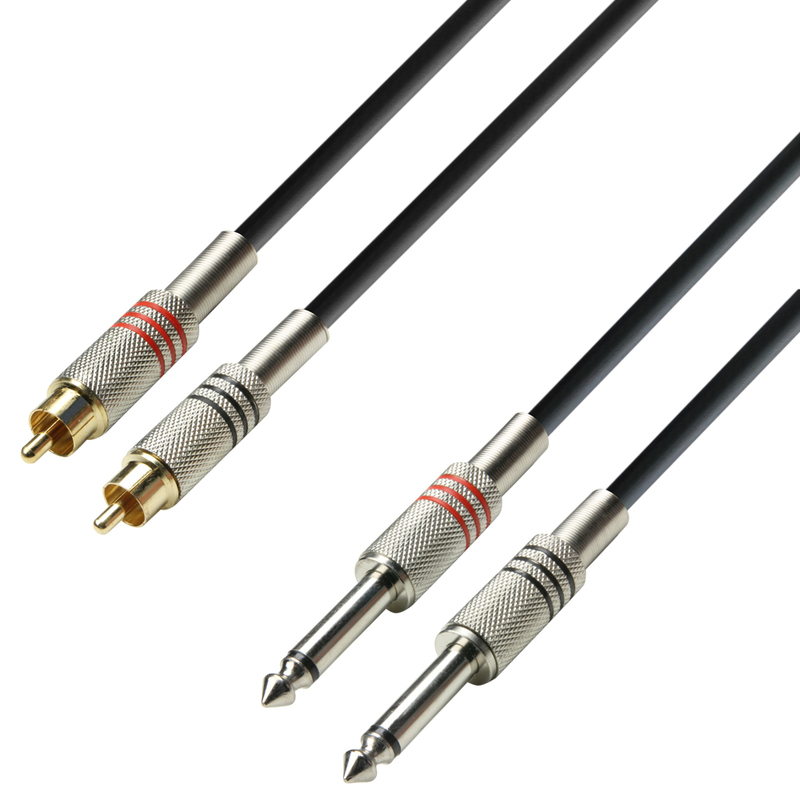 Highly flexible speaker cable in four different lengths, featuring Adam Hall 6.3 millimetre TRS plugs and a cable cross-section of 2 x 1.5 mm². 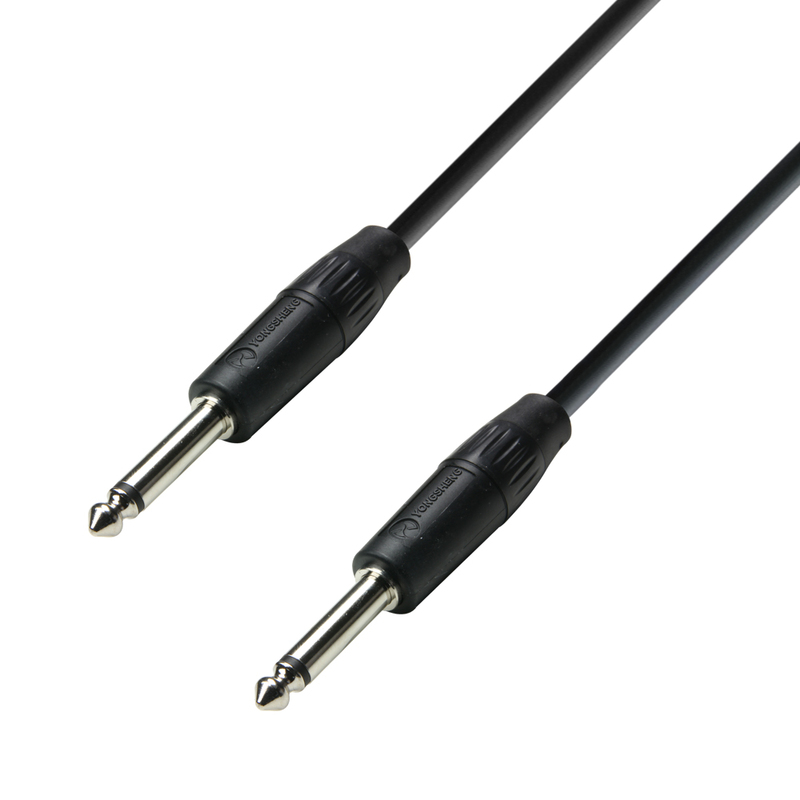 Ideal for connection of low-output speakers.